After a prolonged and tiring day, don’t we all want to just relax and sip on a cup of hot tea? Whether it is green tea or some other flavored drink, the mere thought of having our favorite beverage uplifts our mood, doesn’t it? But, did you know there is a completely different variety of tea that can surpass the healthy aspects provided by your regular tea? I’m talking about white tea, which was acclaimed only in Asia until its recent popularity hike. Today, the West has woken up to the wonderful white tea benefits, and its healthful goodness is getting known all across the world. So, why should you go for white tea? What makes it different from other types of tea? Read on to know more. Curious about the history behind the origin of white tea? Well, white tea was born as an accident some 5,000 years ago in China. It so happened that while traveling along the countryside, the emperor Shen Nung suddenly felt thirsty, and was provided with boiled water. Unfortunately (or rather, fortunately), some leaves of white tea flew and fell into the pot of water, giving it a distinct and likable flavor. The emperor took an instant liking to this particular drink and asked the inhabitants to search for the origin of this particular leaf. And thus, our special white tea was born! Interesting, right? Well, everything about this tea is interesting from its color to its flavor. Coming to the scientific aspect, white tea is derived from the sun-dried buds and leaves of the plant Camellia sinensis. This type is least processed out of all other variants. Since it is packed with all essential nutrients, white tea is considered superior to all teas. So, why do we call it ‘white tea’? It is simply because the buds of the plant have fine, silvery-white strings. These impart a light and sweet flavor to this beverage. How much caffeine is present in white tea? Well, the amount of caffeine in white tea is far less when compared to black or green tea. It is just 28 milligrams of caffeine in one 8oz. cup of white tea. Is White Tea Good For You? Yes, white tea is very good for your health in numerous ways. In addition to aiding weight loss and helping in the treatment of diabetes, white tea is beneficial in numerous ways. These include improving skin and hair health, treating acne, helping treat cancer, reducing inflammation, improving the health of liver and kidneys, maintaining reproductive health, keeping the heart healthy, enhancing memory, energy, and alertness, supporting the treatment of hypothyroidism, and improving oral health. Sometimes, knowing about the types and varieties of tea help you find the perfect tea for you. Read on to know about main types of white tea along with other available teas across the world. This royal variety is the most cherished one in China and the world. Grown in the Fujian Province of China, the silver needle leaves are approx. 30 mm in length and the buds are covered with visible silvery hairs. This is why it occupies the top position in the hierarchy of white teas, making it the most expensive variety. The best white tea leaves are plucked in spring, especially from the middle of March to the middle of April when it is not pouring. The top characteristic of the best brewed silver needle white tea is the pale yellow hue that comes with the best temperature of water (75 degrees Celsius). You can invariably see the white hairs dangling off the leaves under the light. Silver needle white tea carries a light, delicate, fresh, and sweet taste. Make sure you add two to three teaspoons of tea leaves and steep this tea for a longer time (five to eight minutes) to extract the best out of it. This variety is slightly different from the one described above. It includes new leaves as well as the center needle sprout of the plant. 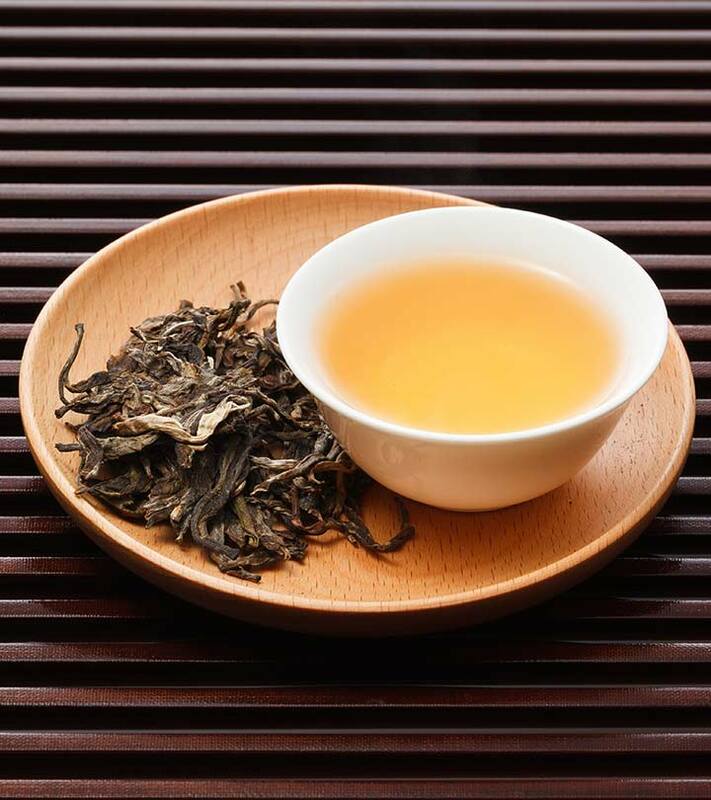 While it is widely accepted as the cheaper counterpart of silver needle white tea, you may be surprised to know that this white peony tea is actually preferred by white tea lovers because of its full flavor and lower cost. The plucking process of this tea is similar to that of silver needle, focusing on the spring season without rains. The best white peony is derived from the proportion of ‘two-leaves-to-a-bud’ and is withered to make green leaves, which eventually make the tea. While brewing this tea, you will be able to identify a distinct aroma that will make you feel all good and light-hearted. The tea is known for its pale green/ golden color and fruity taste that is devoid of grassy flavors. The last category of Chinese white tea is the Shou Mei, which comes from naturally withered upper leaves and tips of white trees. This tea, similar to the silver needle, is grown in the Fujian Province in China and is known worldwide for its greenish color and full flavor. The inferior qualities generally give a dark golden hue to the brew and must be avoided. This variety is generally taken to be the third preference amongst tea lovers. Gong Mei is more processed than the other two variants mentioned above. It comes from Xiao Bai (small white) trees consisting of young leaves that are slightly bent (hence the name ‘Eyebrows’) and no buds. This variety has a dark golden color and full flavor and is often served with dim sums. This variety is grown in the mountain peaks of Yunnan Province in China and is plucked in spring. Every step of harvesting this variety is done by hand. It is known for its rich and sweet taste and imparts an amazing aroma. As we discussed earlier, there are different other types of white tea that are grown all across the globe. Let’s take a look. As the name suggests, this tea is grown in the SriLankan region and is considered to be one of the top varieties, making it super expensive. It is grown and harvested by hand, and thus can be called an artisan’s work. The leaves are sun-dried and then rolled gently with hands. Ceylon white or silver tips tea is known for its delicate and light flavor with light coppery hues. Just like Ceylon white tea, Darjeeling white tea is also an artisan’s work and is grown in a rainy climate. The leaves are super fluffy and light and impart fragrance like honey. A cup of Darjeeling white tea has a delicate flavor and scent, is pale golden in color, and is really yummy to our taste buds. A rare variety that is grown the region of Assam and carries very light leaves. The brewed Assam white tea gives out a naturally sweet and malty taste. This variety is grown the Kenyan and Malawi regions of Africa and has a rich and distinct flavor that appeals to many. The caffeine content in this type is higher than that in other varieties. Antioxidants – The level of antioxidants in white tea is similar to that of green and black tea. Epigallocatechin Gallate And Other Catechins – White tea contains a variety of active catechins including EGCG, which is very useful in fighting chronic diseases like cancer. 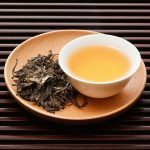 Tannins – While the levels of tannins are lower in white tea as compared to the other varieties, it is still useful in warding off a lot of conditions. Theaflavins (TFs) – These polyphenols directly contribute to the bitterness and astringency of the tea. The quantity of TFs found in white tea is the lowest when compared to black and green teas. This gives the tea a sweet flavor. Thearubigins (TRs) – The mildly acidic thearubigins are mainly responsible for the colour of black tea. They are in less quantity in white tea when compared to black and green teas. But what is so great about white tea? Keep reading! You can consume white tea just like your regular tea, and reap the many benefits it offers. 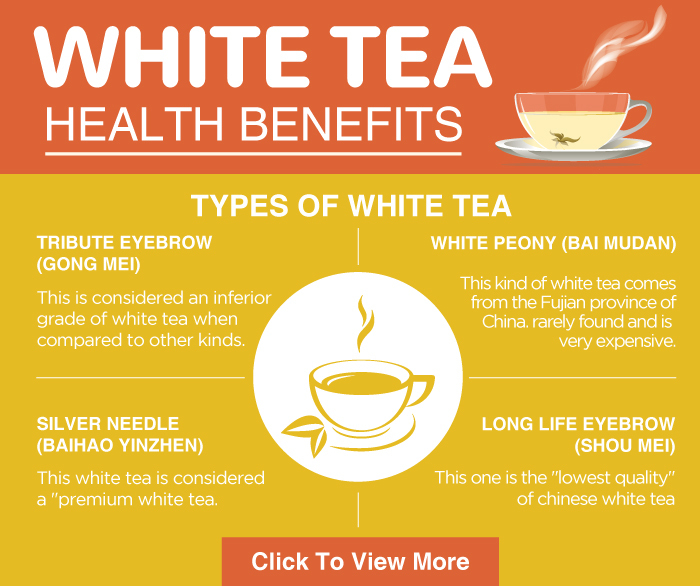 There are host of white tea health benefits, a few of them have been listed below. Have you ever considered white tea for weight loss? If not, then its a high time you hit it. Obesity is probably the number one ailment in the world today, and people never seem to get tired of searching for a solution to it. And amongst the many solutions, white tea appears to be a promising one. In one new German study, it was found that white tea helps in weight loss by burning the existing fat cells and preventing the formation of new ones (1). White tea is also found to be less processed than its counterparts, and happens to contain more of those ingredients that are responsible for burning fat. In fact, the Chinese had concealed the many health benefits of white tea for a long time, and scientists dub it the ultimate health drink. According to the Harvard Medical School, the catechins found in white tea can also promote weight loss (2). All forms of tea, including white tea, are loaded with antioxidants (3). These can aid in the weight loss process. Tea catechins are also found to have antiangiogenic properties that may prevent obesity (4). Look at the people around you, and chances are that a majority of them have some form of acne. Acne is not a harmful or dangerous issue, but it doesn’t look good anyway. According to a study conducted at Kingston University, London, white tea has antiseptic and antioxidant properties (5). Most dermatologists believe that antioxidants protect the skin from the cellular damage caused by free radicals, and keep it healthy (6). You can, ideally, consider drinking white tea for acne treatment. Take one cup of white tea twice a day regularly. The antioxidants in white tea flush out the toxins in your body, whose accumulation could have a negative effect on your skin and result in acne. You can also use white tea topically by boiling two white tea bags and then allowing the solution to cool down through refrigeration. Soak cotton balls in the solution and rub them on your skin for a few minutes, post which you can wash your face with cold water. As already discussed, white tea contains antioxidants. In one Scotland study, it was found that antioxidants offer cell protection from the increased oxidative damage during pregnancy (7). However, there are a few concerns regarding consumption of white tea during pregnancy. White tea contains caffeine (though less than other teas, except green tea (8), whose intake must be limited during pregnancy. This is because the unborn baby can’t metabolize caffeine like the mother. According to certain research papers, intake of excessive amounts of caffeine can increase the chances of birth defects, miscarriage, and stillbirth (9). Hence, it is always better to consult your doctor and take their advice regarding the intake of caffeine during pregnancy. According to a study published in the journal Cancer Prevention Research, white tea might have an anti-cancer effect. In fact, white tea was found to be more effective than green tea in destroying cancer cells in the study (10). As per another Malaysian study, white tea has excellent antioxidant and antiproliferative effects against cancer cells. The tea not only destroys the diseased cells, but also protects the healthy cells from DNA damage (11). According to the Oregon State University, white tea is the least processed amongst other teas (12). White tea is a great source of antioxidants and polyphenols, both of which are cancer-fighting compounds (13). It also has been found that tea (especially white tea) has certain positive effects on the metabolism that can block some of the cancer-causing effects. White tea is also a photoprotective agent, and can be used along with other methods of sun protection to increase the impact (14). White tea contains EGCG (epigallocatechin gallate), an effective antioxidant. Topical application of EGCG has been found to protect the skin cells from damage (15). In one American study, the antioxidant had also shown to inhibit the growth of prostate cancer (16). Catechins, a type of antioxidant, are known for their excellent anti-cancer properties. It has been found that white tea contains the highest concentration of catechins (17), making it one of the ideal foods for cancer prevention or treatment. White tea is replete with antioxidants, and according to the University of Maryland Medical Center, the anti-inflammatory properties of these antioxidants strengthen the connective tissue and help reduce allergies like dandruff or eczema (18). Antioxidants can also help treat hair related disorders like hair fall and the like (19). We have already seen that white tea contains EGCG. According to one Korean study, EGCG can enhance hair growth in humans (20). An American study has also proved the efficacy of EGCG in supporting the survival of hair cells (21). Research conducted at Konkuk University, Korea, had named the antioxidant to be one of the useful ingredients in the treatment of scalp seborrheic dermatitis (22). Skin infections caused by gram-negative bacteria (bacteria that show resistance to multiple drugs) were found to be otherwise treated with the help of EGCG (23). EGCG is also considered the fountain of youth for skin cells, is it has been found to have benefits for skin conditions like psoriasis, wrinkles, rosacea and wounds (24). Due to the high phenol content, white tea strengthens elastin and collagen (important proteins found in the connective tissues), thereby making the skin strong and preventing wrinkles (25). 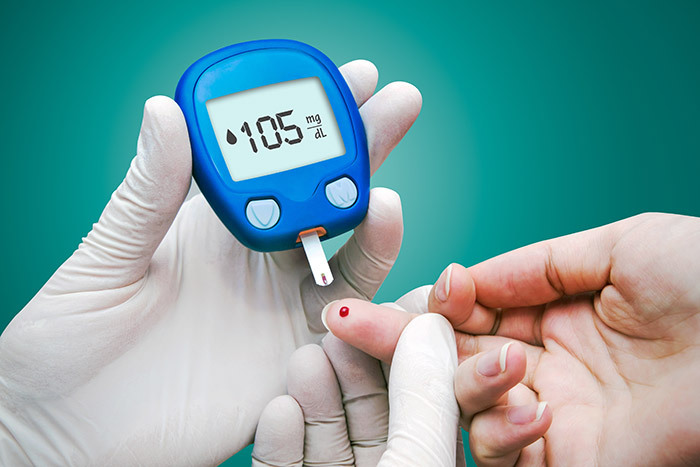 There is no wonder if you find at least one person in every family to be a diabetic. With changing lifestyles and deteriorating lifestyle habits, diabetes, unfortunately, is only becoming a more common phenomenon. However, research throws a positive light on white tea, with regard to its ability to treat or even prevent diabetes. Human trials conducted in a Chinese study showed that regular consumption of white tea could significantly benefit diabetes patients (26). Another study conducted on diabetes-induced rats showed that white tea reduced the symptoms of the disease (27). Diabetes can also have undesirable effects on the cerebral cortex (the part of the brain that plays a role in consciousness). A Portuguese study conducted in 2015 had called the regular consumption of white tea to be a safe and inexpensive strategy to prevent the negative effects of diabetes on the cerebral cortex (28). Another study conducted in Portugal suggested that the consumption of white tea could be a natural and economical way to counter the harmful effects of prediabetes on male reproductive health (29). However, the study also warrants further research. The catechins in white tea must be given the credit for the tea’s anti-diabetic properties, as they have been found to play an important role in the treatment or prevention of type 2 diabetes (30). As we already know, white tea goes through the least amount of processing, and hence has the highest concentration of L-theanine (31) (an amino acid that boosts alertness and has a calming effect on the mind). White tea contains less amount of caffeine than other teas, and, as a result, is more hydrating – this helps in sustaining energy. An American study had found that L-theanine, along with a little amount of caffeine, could increase levels of alertness and reduce tiredness (32). Numerous studies had also shown that the combination of L-theanine with a little amount of caffeine can lower anxiety levels (33). The amino acid can also improve memory and reaction time (34). L-theanine present in white tea can also reduce mental and physical stress (35). The amino acid is found to increase the production of serotonin and dopamine in the brain (36), which are basically neurotransmitters that elevate your mood and keep you happy and alert. The catechins play a mighty role here – they reduce inflammation, and also reduce the risk of diseases linked to chronic inflammation (such as cancer, diabetes, and atherosclerosis) (37), (38). In one Japanese study, catechins were found to suppress the inflammation of the muscles and accelerated recovery after exercise (39). They were also found to suppress the effects of factors that cause fibrosis (40) (the scarring of connective tissue usually due to injury). The EGCG found in white teas has excellent anti-inflammatory properties. It treats related ailments like cold and flu, and also kills various bacteria and viruses, including the virus that causes influenza (41). EGCG also fights atherosclerosis that is caused by inflammation due to environmental pollutants (42). In a Polish study conducted in 2015, consumption of white tea was linked to the reduction of adverse effects of environmental pollution on the human body, including the kidneys (43). Another study conducted in Chandigarh, India, showed the role of catechins (because of their antioxidant activity) in offering protection against renal failure (44). A Chinese study on rats concluded that catechins could prove to be a potential treatment for kidney stones in humans (45). The catechins (which are also found in green tea) were found to offer protection against hepatitis (46). In one Chinese study, tea catechins were found to prevent hepatitis B infection (47). An American study had also substantiated the antiviral effects of catechins that can help in blocking the life cycle of hepatitis B virus (48). However, excessive intake of catechins was also found to be toxic to the liver (49). Hence, exercise caution or consult your doctor before taking white tea for the liver. A Spanish study involved the use of adriamycin, an anticancer agent that can increase oxidative stress in cells. Consumption of white tea for over 12 months was found to reverse the oxidative damage done to the cells in the heart. The heart had also recovered its antioxidant activity, but at the highest dose of white tea (50). White tea was also found to show antioxidant effects on the heart in one study conducted in Greece (51). White tea was found to contain the most antioxidants compared to other types of tea. The catechins found in white tea had shown to lower cholesterol levels, decrease blood pressure, and improve the functioning of the blood vessels, thereby eventually lowering the risk of cardiovascular disease (52). An American study had also found tea catechins to have a beneficial effect on coronary heart disease (53). The same was concluded in a 2001 study conducted in Netherlands (54). White tea contains fluorides, flavonoids, and tannins, all of which could be beneficial to the teeth in various ways. As per a study conducted in India, the fluoride from the tea could be helpful in reducing caries. Tannins inhibit the formation of plaque, and flavonoids prevent the growth of plaque bacteria (55). There is another point to be noted here – white tea does contain tannins, but only in less quantities. Hence, it is not as likely to discolor your teeth as other teas (56) (except for green and herbal teas). White tea was also found to deactivate the viruses and destroy the bacteria that cause cavities in the teeth (57). In one study, white tea extracts were added to a variety of toothpastes, and according to the findings, the antibacterial and antiviral effects of the toothpastes were enhanced. A Portuguese study had concluded that white tea extract could play a role in improving male reproductive health (58). Again, it’s the catechins. In one Indian study, the catechins were found to possess antithyroid properties, and taking them was an effective way to prevent hypothyroidism (59). White tea is a good source of antioxidants, and one of the best sources of catechins. This makes it one good food for improving memory, or even slowing memory decline. A study conducted in Portugal had established the role of catechins in protecting the brain from age-related memory decline (60). According to another study, regular consumption of white tea had helped improve the health of cerebral cortex in pre-diabetic rats, suggesting it could help achieve similar results in humans as well (61). With time, our skin becomes saggy and loose because of the presence of free radicals in our body. This accelerates the aging process of the skin. Do not fret! Having white tea regularly can help prevent wrinkles and loose skin. White tea is rich in polyphenols that help neutralize the free radicals. This amazing tea also has antioxidant properties revitalize your skin and stop premature aging. Do you experience frequent bouts of indigestion or heartburn? I suggest you have white tea twice a day for better and prolonged relief. A cup of white tea will give you instant relief from stomach cramps and nausea and reduce stomach acidity within no time. Embracing white tea is also a good way to enhance the natural detoxification in the body. So many blessings in a cup! So, this was all about spectacular Health benefits of white tea, now let’s have a look at white tea preparation. Making our own cup of tea gives a satisfaction that can never be equaled. Same goes with white tea, which is particularly exquisite and special. Let us look at how we can brew ourselves a cup of perfection in the confines of our home. Boil the water until it reaches a temperature of 75-85 degree Celsius (170-185 degrees Fahrenheit). Let it sit for a minute or so before adding the tea leaves. White tea leaves aren’t as compact and dense as compared to the other varieties. Hence, add two teaspoons of white tea leaves to the water for a cup of tea. Let the mix steep for approximately five to eight minutes or more than that, depending on your preference. Strain and transfer the tea to a cup. Add the sweetener and your cup of white tea is ready! White tea is one of those foods that can improve your life significantly over time. Make it a part of your diet and stay healthy! Obviously, knowing about another variant of tea brings along the debate of which one is better. Undoubtedly, green tea is the popular one for all good reasons, but white tea can take over it easily if it wasn’t for its price. Why am I saying this? Well, let’s compare them both to find out more. Antioxidants – While white tea has similar types of antioxidants as green tea, the quantity and quality are way higher, thus making it lead in the health factor. We all know that the presence of these antioxidants helps us ward off various diseases, including cardiovascular risks, high cholesterol levels, risks associated with cancer. They also help in weight loss. Caffeine – Another factor in favor of white tea may be the presence of only 15mg caffeine when compared to 20 mg in green tea. If you are looking for a regular drink that will cause less harm associated with caffeine, I suggest you go for white tea. Note: Well, exceptions are always there, same is the case with caffeine availability. We may not know this. But having caffeine actually helps in weight loss. So, for those looking to shed a few kilos, I suggest you rather go for green tea. Taste – We all know how bitter green tea tastes (I’m not denying its qualities. But let’s be honest, not everyone can gulp down a cup full of green tea without adding a sweetener!). Well, in this category, white tea is definitely the winner since white tea taste is smooth, gentle, and slightly sweeter. If only it weren’t that costly and hard to find! Availability – Well, in this section, green tea is the winner, hands down! You can find good quality green tea anytime without spending a bomb on it while searching for perfect white tea is like finding water in the desert. Antimicrobial – It might sound surprising, but many studies have concluded that white tea might be better in fighting viruses, bacteria, and fungi like salmonella and staphylococcus when compared to green tea.So, we can conclude that white tea is better than green tea in many aspects, but only when you are able to get your hands on pure white tea. Beware of duplicates and the impure ones. We know that the amount of caffeine is vechinese white teary low in white tea, but it is still present in it. Additionally, white tea derived from the young leaves is known to contain higher quantities of caffeine when compared to those derived from older leaves. Sometimes, the levels of caffeine may even exceed the quantities in green tea. Caffeine can cause many lifestyle and health defects including insomnia, nervousness, agitation, dizziness, and other effects on our central nervous system. White tea extracts can even cause gastrointestinal troubles when taken in larger quantities, so mind your dosage. White tea is rich in flavonoids that can bind non-haem iron, thus inhibiting its absorption in the body to 70 per cent. So, to avoid this trouble, you might be suggested to drink this tea before having your meals and at the same time as taking your iron supplements. Hope now you are clear about, what is white tea good for. Just keep these points in mind and bask in the benefits derived from the heavenly white tea. 1. How many cups of white tea in a day is the ideal consumption? If you are looking to reap a plethora of health and skin benefits from white tea, I suggest you go for a daily routine of two to four cups of this perfect tea. Having one cup in the morning is fine, but having another one in the evening replacing your coffee is an even better option. The best part is that you can even use the used tea leaves twice in a row, saving your money as well as effort. Also, reusing will help in draining off all the essential nutrients from the leaves. Just make sure that you brew this tea longer the second time. 2. How many calories are there in a cup of white tea? If we don’t add any type of sweetener and brew our cup of white tea at home using white tea leaves, the calorie count is zero. But when it comes to manufactured tea bags, the calorie count can go up to 100. So, it is better to go for unsweetened, home-brewed white tea to reap most benefits. 3. 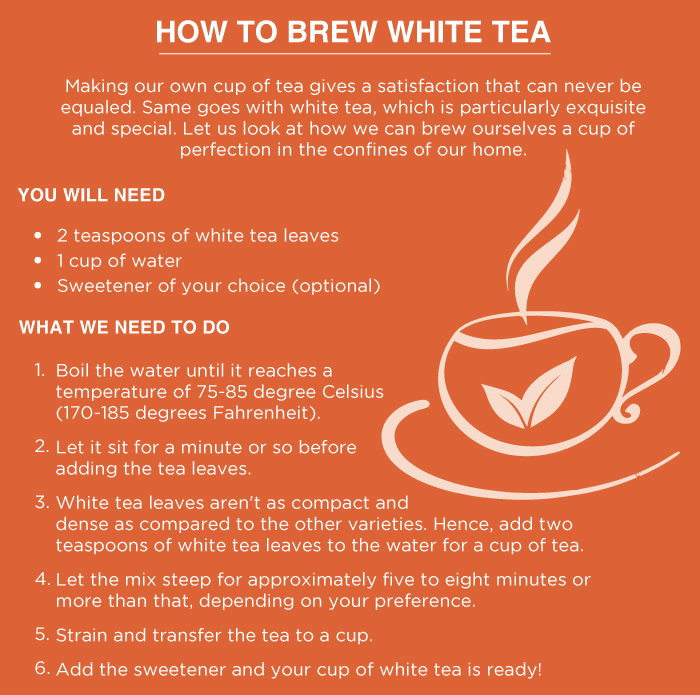 What all factors should be kept in mind while brewing white tea at home? Brewing perfect white tea can come out to be a little tricky at times. But if you keep in mind a few points, you won’t be disappointed with the results. Always use pure and uncontaminated water for making tea. Never go by the notion that boiling will clean the water. Avoid bringing the water to the boiling point as it can destroy sensitive components. If you wish to make a stronger cup for yourself, you can increase the steeping process to an ideal 10-12 minutes, but avoid crossing that level. You can reuse the tea leaves up to their maximum potential (2-3 times to the max), but don’t overdo it. 4. When should you drink white tea? While there is no ideal time to consume white tea, you may have it early in the morning and then in the evening, just replacing your normal tea routines. If you planning to take four cups, you may divide your time accordingly. But, make sure you take it one hour before you are about to have a meal. Also, avoid taking it anywhere near your regular medication timings. 5. Where can we buy white tea? 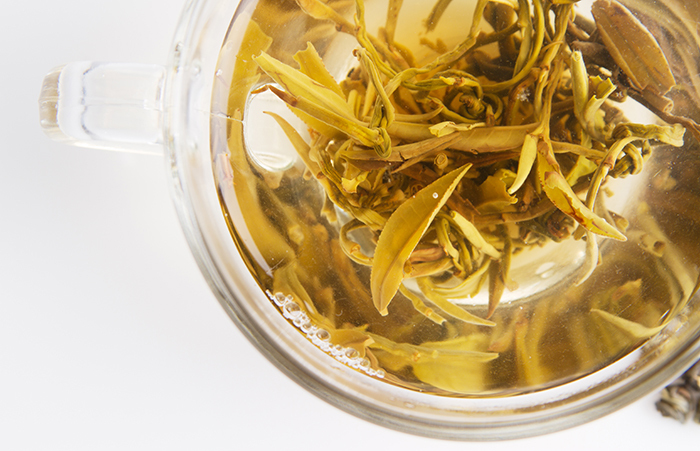 As we know, there are a number of white tea variants. 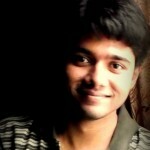 Buying it online is the most feasible option. Search online on websites like eBay and Amazon and look for sellers that are fairly good. Otherwise, you can even ask for merchants who deal with Chinese white tea if you are willing to buy that variant. 6. Is white tea acidic in nature? When compared with other herbal teas, white tea crosses the acidic levels, ranging between 4-7 on the pH scale, depending on the variety. But, this is nothing to worry about. 7. Does white tea stain teeth? 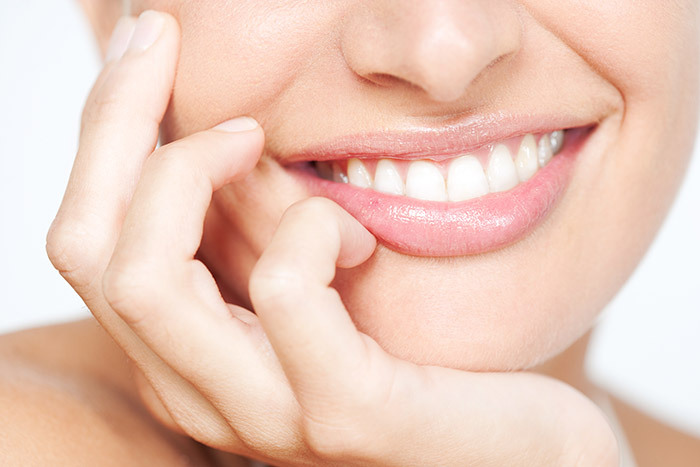 No, unfermented white tea is not known to cause any stains on the teeth. But, if you have the types that give a little dark hue, you might experience this problem. These types contain higher quantities of theaflavins and thearubigins that are known to produce stains by interacting with protein pellicles of your teeth. Tell us how this post on white tea benefits has helped you. Have you tried white tea? We’d love to hear how it turned out. Do give your feedback by commenting in the box below. How To Make Bubble Tea And What Are Its Benefits?